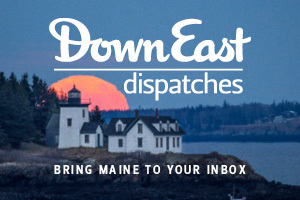 Down East is offering our readers an exciting getaway to the Maine North Woods with Libby Camps and Maine Outdoors! Limited to 16 participants — these trips fill up fast! Libby Camps is a family owned sporting camp located on Millinocket Lake in Ashland. Two-person log cabins, handcrafted of peeled spruce and balsam fir, line the shore. Each cabin is furnished with homemade or antique beds, linens, gas-powered lights, flush toilet, hot shower, and a porch. Libby Camps is an excellent jumping-off point for accessing some of the best fishing in the state. Millinocket Lake and nearby lakes and streams are known for being home to trophy-size brook trout and native landlocked salmon. All experience levels are welcome — whether you want beginner fly-fishing lessons or you’re an expert fisherman looking for local knowledge of the area, your personal Libby Camps or Maine Outdoors guide will design your trip to best fit your preferences. Between fishing sessions, you’ll have the opportunity for many other adventures, including scenic floatplane rides with an experienced pilot for a unique perspective on northern Maine’s forests, streams, and lakes. Visit a popular historic site where a pair of steam engines — once an essential part of the local timber industry — sit abandoned, left behind when the railroad was shut down in the 1930s. Nearby Millinocket Stream is the perfect place for an afternoon canoe trip, and numerous ponds and bogs are great destinations for moose watching. Wherever you’d like to explore, an expert guide will be available to accompany you to make your adventures safe and enjoyable, and to share knowledge of the natural environment and local history. Paul Doiron, author of the Mike Bowditch series of crime novels and a Registered Maine Guide specializing in fly fishing, will be on hand to read from his award-winning series of books, set in the Maine woods. Meals will be served in Libby Camps main lodge overlooking the lake. One side of the lodge is equipped with Amish handmade hickory and walnut tables and chairs for a relaxing, family-style meal. The other side is made up of plush couches, chairs, and Amish handmade hickory rockers for unwinding in front of the fireplace. Many of the recipes have been handed down for generations and offer a variety of hearty, home-cooked, family-style meals complete with garden vegetables, fresh meats, and home-baked breads, pies, and pastries. We’ll also cook up your catch or pack it so you can take it home with you.  To reserve your space on our Maine North Woods Adventure from September 6–10, call 207-435-8274 or e-mail adventures@downeast.com. The price for the trip is $3,950 per person based on double occupancy*. * (Plus 8% ME lodging tax.) 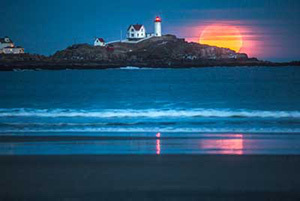 Price includes pick up from and return to Bangor International Airport, lodging, meals, floatplane ride, guide services, tips, fishing licenses, and fees. All gear needed will be provided, including fishing equipment, but feel free to bring your own gear if you prefer. Alcohol is not included (except for the opening night dinner). Alcohol may be purchased and consumed in the lodge, or you may bring your own for use in your cabin. An initial 50% deposit is required to secure your reservation ($2,133). No space is guaranteed until we have received the deposit. The deposit is non-refundable. Trip insurance is suggested. The balance ($2,133) will be due by July 1, 2015. Questions about the trip? 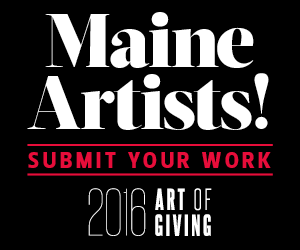 Fill out the form below with your query and someone from Down East will get back to you!